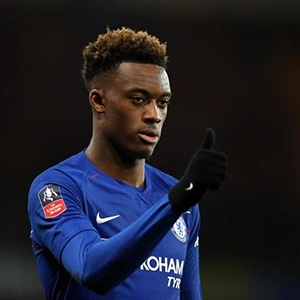 London - Under-fire Chelsea manager Maurizio Sarri says he is ready to give England international Callum Hudson-Odoi a first start in the Premier League, either against Brighton on Wednesday or West Ham next Monday. The 60-year-old Italian has angered Chelsea fans with his refusal to start the 18-year-old winger and they vented their feelings during the fortunate 2-1 win over Cardiff on Sunday. However, Sarri justified his patient approach with Hudson-Odoi - who won his first senior England cap as a substitute in the 5-0 thrashing of the Czech Republic last month - at a press conference on Tuesday. "During this season he has improved and now he's ready to play," said Sarri. Sarri is also likely to recall France's World Cup winning midfielder N'Golo Kante and Eden Hazard for the game with struggling Brighton. "I don't know at the moment but I think so," said Sarri. Sarri's side are presently involved in a four-way battle with Arsenal, Tottenham Hotspur and Manchester United for the final two Champions League places. However, despite also being in the Europa League quarter-finals - where they will face Slavia Prague - many fans have called for him to be sacked. "I am not happy, of course, but I am not concerned. It can happen," said Sarri.